STXM is a powerful imaging technique that can provide nm-scale chemical mapping through the raster-scan of a focus x-ray beam on the sample and the scan of the incoming photon energy. It can adapt to different sample environments (He filled, UHV, liq. nitrogen cooling, magnetic field etc.) and has the capability of multiple detection systems (transmission, fluorecsence, electron yield, ptychography etc.). TOYAMA is strong in manufacturing and designing various ultra-precision systems for experimentation at worldwide sychrotron radiation facilities. 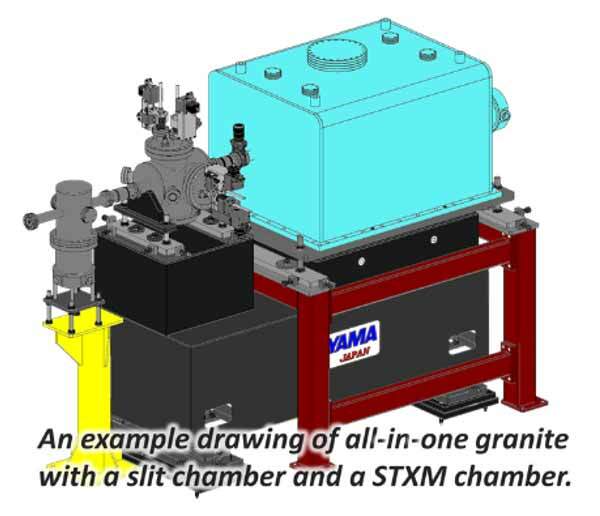 In addition to our experience in STXM and our knowledge in x-ray optics, we are capable to find the ideal solution to customized the STXM for your specific application and turn your idea into reality. 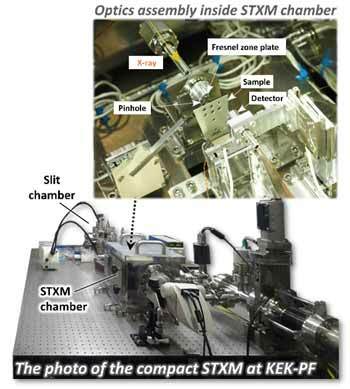 Y. Takeichi, N. Inami, H. Suga, C. Miyamoto, T. Ueno, K. Mase, Y. Takahashi, and K. Ono: 'Design and performance of a compact scanning transmission X-ray microscope at the Photon Factory', Rev. Sci. Instrum. 87, 013704 (2016).